Will this work on stocks that aren't traded on a U.S. Exchange? 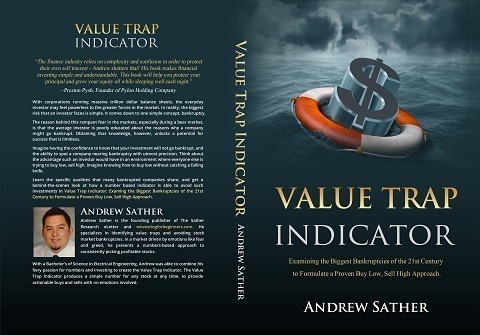 Yes, as long as a company has these metrics in the financial statements, you can use the Value Trap Indicator on them: Net Sales (Revenue), Net Earnings, EPS, Dividend, Shares Outstanding, Total Assets, Total Liabilities, Shareholder's Equity, and Net Cash (Cash at End of Year). Most of the stocks in the major international exchanges like the FTSE and TSX fulfill this, but check carefully that this applies to your country.